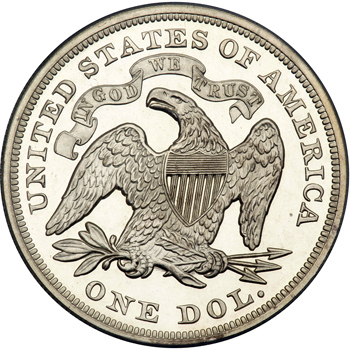 The Mint Act of February 12, 1873, among other things, abolished the Silver Dollar and replaced it with the heavier Trade Dollar for use in the Orient. 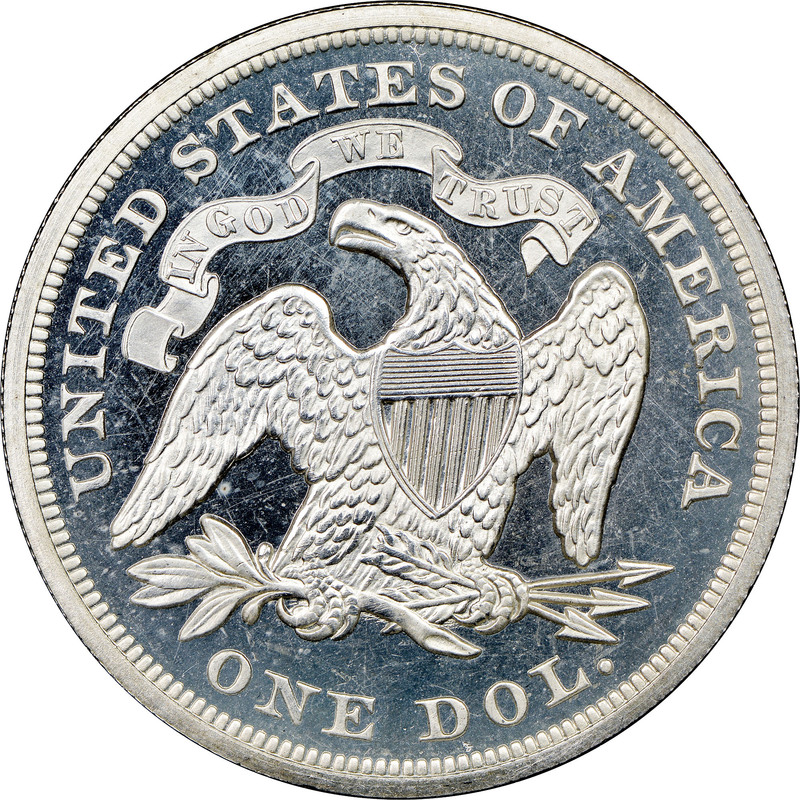 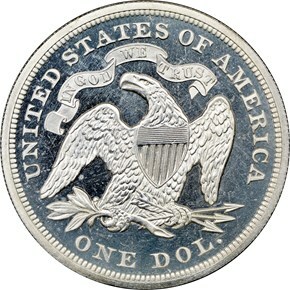 The last Dollars of the Seated Liberty design were produced on March 29 of that year. 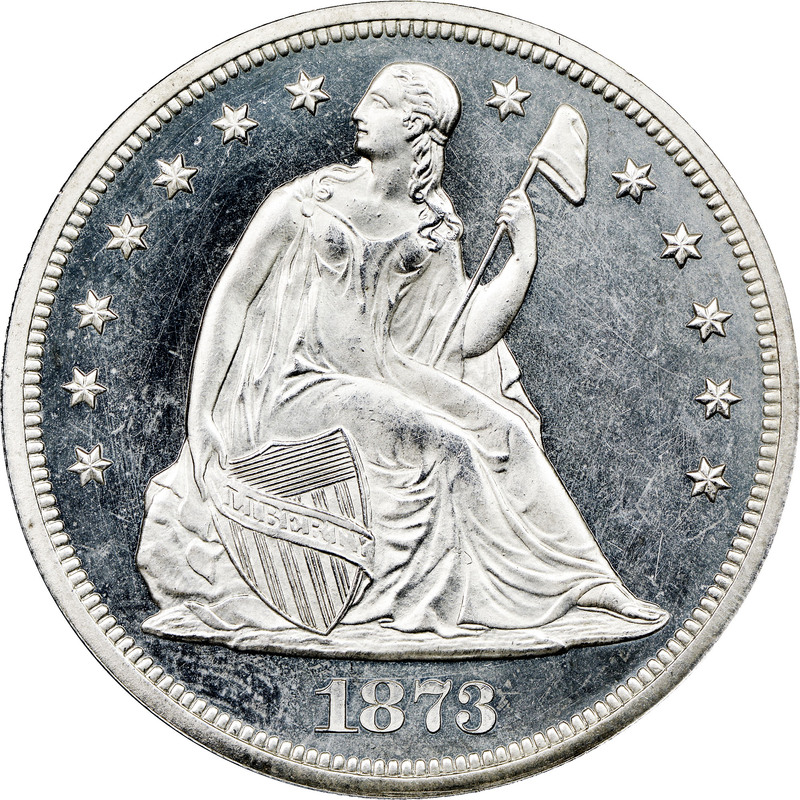 Many of the 293,000 business strikes delivered in early 1873 were undoubtedly melted to provide bullion for the new Trade Dollar. 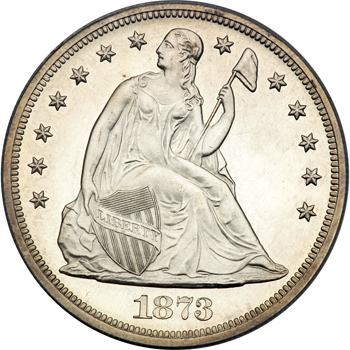 What's more, although 600 proof 1873 Seated Dollars were originally coined, numerous examples were probably included among the 2,258 proof Seated Dollars that the Melter and Refiner at the Philadelphia Mint destroyed on July 10, 1873. Today, the proof 1873 is a scarce coin, but it does not get the widespread recognition that its rarity deserves.